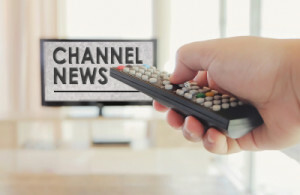 We love delivering great news here on the TDS Connect blog. And this qualifies: Beginning March 8, FOX Sports Midwest will be available to our customers in Indiana as part of our Expanded and Expanded Plus tiers. It will air on channels 600 (SD) and 1600 (HD). Three FOX College Sports channels will also be newly available in the Expanded and Expanded Plus tiers: FCS Atlantic on channel 622, FCS Central on channel 624 and FCS Pacific on channel 626. We have received many requests for FOX Sports Midwest from folks in Indiana, and we’re happy to be able to provide the channel just in time for the end of basketball season. To celebrate, we’ll be giving away courtside seats to watch Indiana play Cleveland on April 6. Look for contest details on the TDS TV Facebook page. In addition to basketball, FOX Sports Midwest is home to pro baseball and hockey games, as well college sports action from across the country. Visit the network’s website to learn more about its offerings. Again, FOX Sports Midwest will begin broadcasting on channels 600 (SD) and 1600 (HD) on March 8 for customers with the Expanded and Expanded Plus TV tiers. If you don’t have Expanded or Expanded Plus and would like to upgrade, please call us today at 866-448-3788. To those of you who have asked for Fox Sports Midwest: Thank you for your patience as we worked to add this fine network to our lineup.